Manually enter your chosen date in the dedicated field provided or select from the calendar. 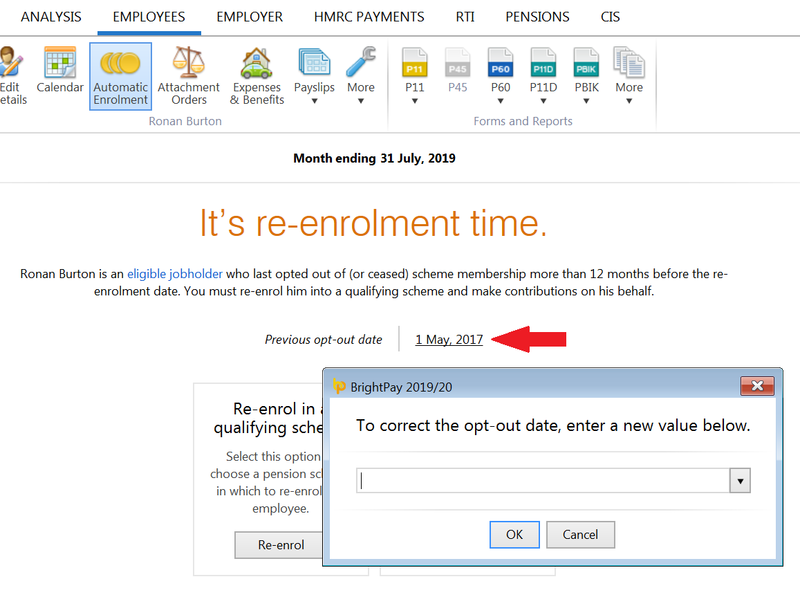 BrightPay's assessment of staff at the re-enrolment date takes into account the opt-out dates and cessation dates that have been entered in the software by the user. Therefore the user must ensure that the software has been instructed to know which employees have opted out or ceased active membership and that the opt-out and cessation dates entered for such employees are accurate. 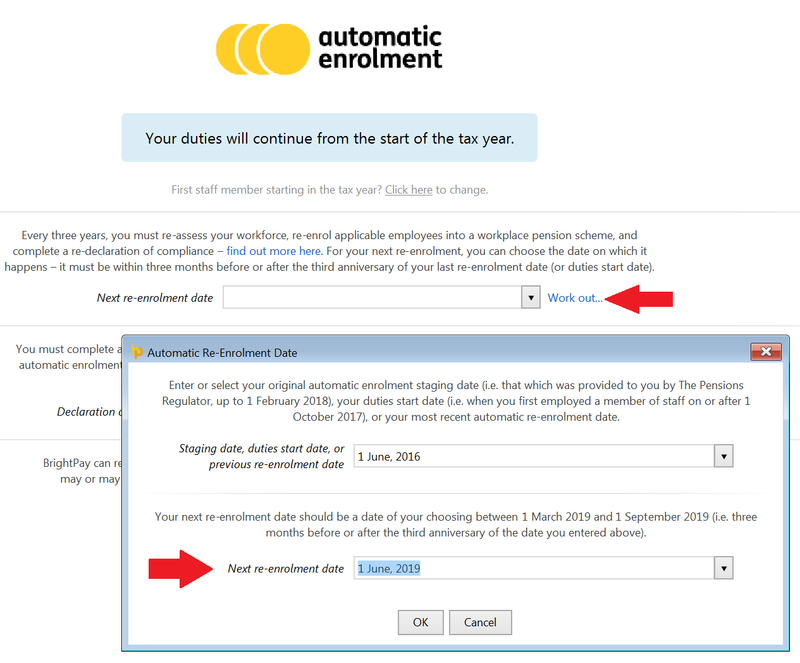 For opted out or ceased employees, their previous opt-out/cessation date will be displayed within their Automatic Enrolment utility in their Employee record and is available for editing if needed. 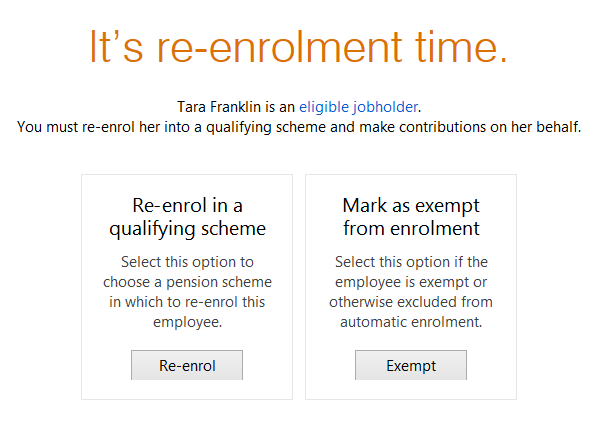 If no employees are flagged for re-enrolment and your automatic enrolment information for each employee is entered correctly, then this will indicate that you have no staff to re-enrol (e.g. 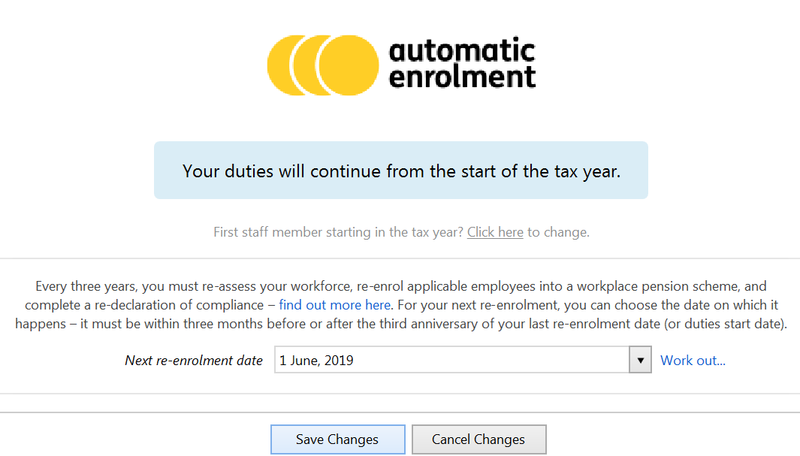 staff members may already be enrolled, employees may not have opted out or ceased membership more than 12 months prior to the re-enrolment date, opted out/ceased employees may not have earnings high enough to qualify for re-enrolment). If this is the case, simply progress to step 4 - completing your Re-declaration of Compliance.